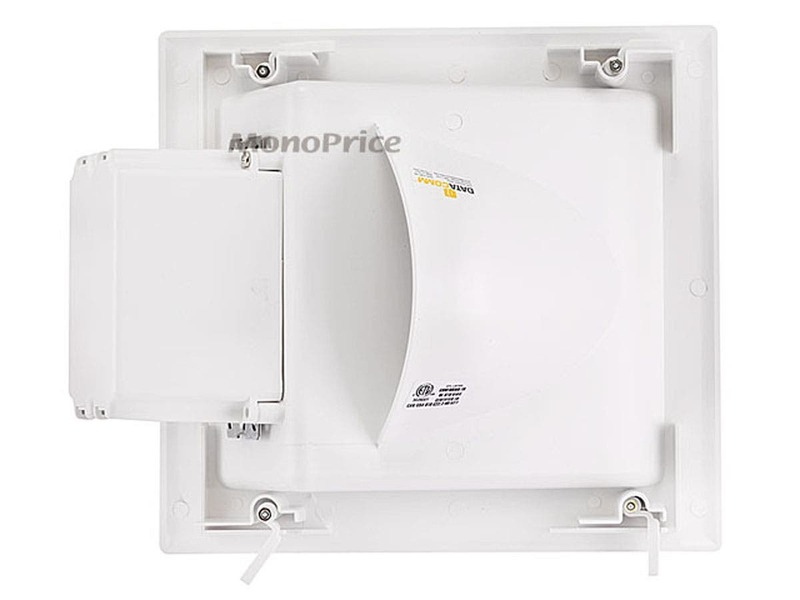 will this unit work for standard 2 by 4 wall? BEST ANSWER: Yes, just try to center the cut out diagram between the studs to allow enough room for the angled junction box that is included. I have installed two and they work great! If you’re asking whether this will fit in a wall cavity with a depth of approximately 3.5”, yes. I just installed one in such a wall. 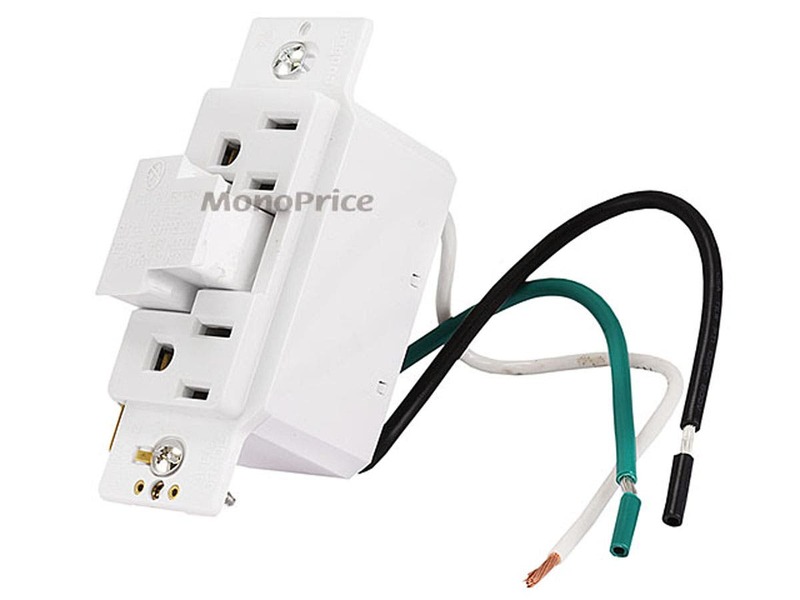 Yes, no issue, I've used this unit and the non-surge surpressed several times in 2x4 walls. Worked on my wall... Standard 2x4 thick wall with room to spare. Will this fit in standard 2 by 4 wall, with 1/2 inch sheetrock? This little box is a must if you are putting a flat screen TV on the wall. 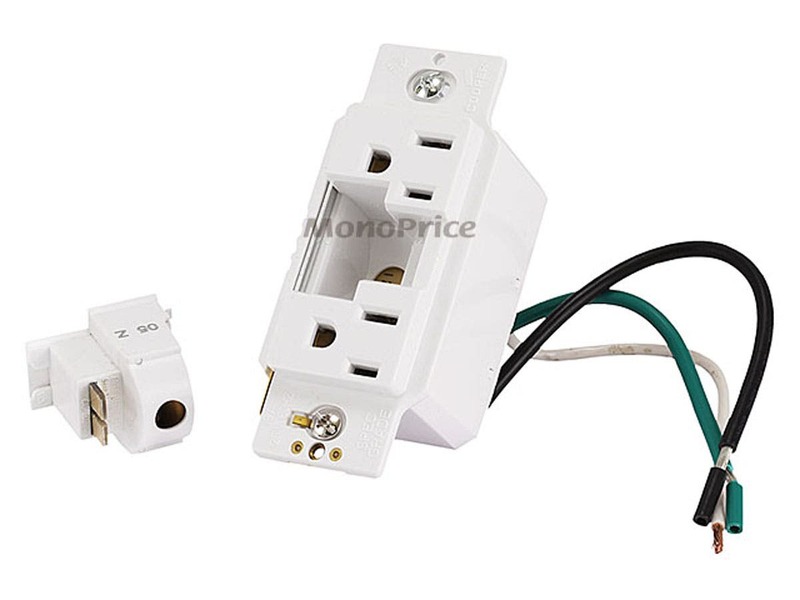 The outlet has a surge protector built in. 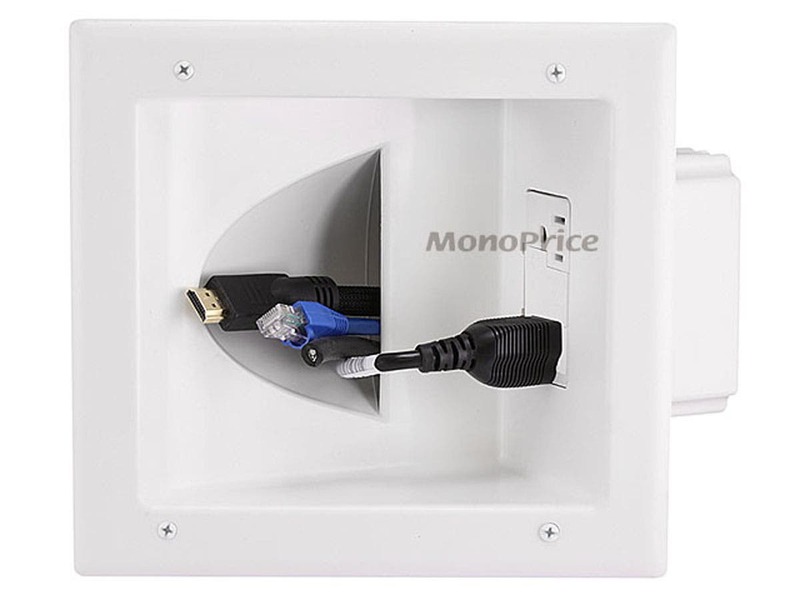 The cable hole is perfect for HDMI and Ethernet cables. I really like the idea of these. The power cords for tvs always need a bit of room, and I like to have the tvs mounted tight to the wall with minimal clearance. 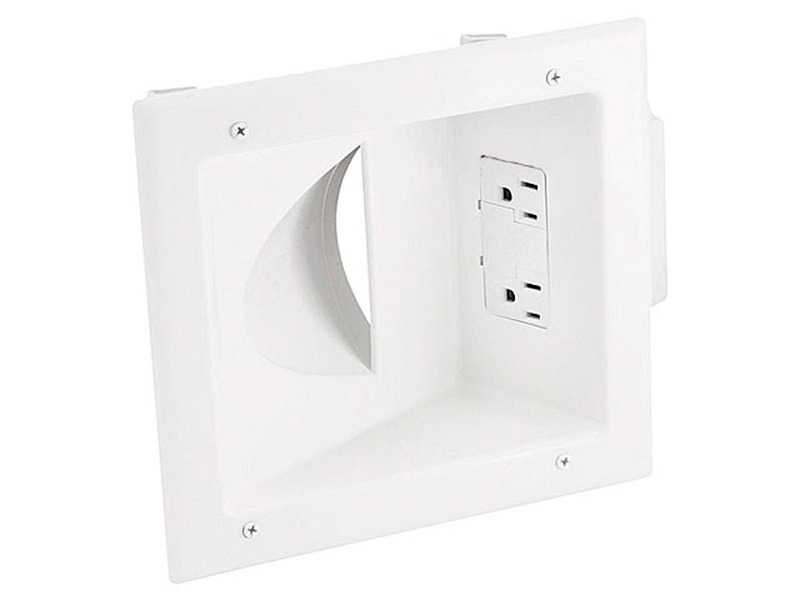 Without these recessed plates with angled outlets, it's difficult to get the power plug in without hitting the back of the tv. Also... unless you have a whole-house suppressor, having an integral one on the outlet is piece of mind. My only gripe on these... I wish the tabs were a bit more sturdy. They are a little weak and it takes a slow and steady approach to tighten them in place to make sure you don't overstress and break the tabs. Once installed, they are fine. i really like this, although I will say I think it could be done in a smaller size, as it takes up a huge space behind the TV and with mounts, it can get difficult to hide it.. I can plug in a soundbar and TV and know they are protected, it makes jobs less apt to have an issue in the future. I actually will need to carry a couple of the Surge Blocks on me, for when they go... but that just means they did their job. This is a great product and value. Other similar products sell for double the price. So, I was expecting something cheap, but was pleasantly surprise. The directions made installation easy and template that came with it was accurate. This product should provide protection for those expensive TVS on the wall. I used this with a slim mount and have been very happy. Great product - I usually use keystone jacks but when with this this time around for ease of installation. The installation still looks clean and professional. I just wish it had knockouts to run conduit into. I ended up drilling a hole in the back and using reducing washers on the front and back to run the conduit into. PROS: Well made. Works as designed. CONS: No knockouts for terminating conduit at box. CONS: Pluge module does not fit well into other standard boxes. PROS: Great product, price and quality. Great product. Easy to install and looks professional. Fit every location with different wall screen mounts. PROS: Wing style anchors make install easy to snug to wall. Surge protector is nice. Low voltage entrance is large. This worked pretty well. I did have two minor complaints. I was mounting onto a shear wall that had a layer of sheet rock mounted over the top of a layer of OSB. This means that my wall was about twice as thick as normal sheet rock. The mounting clips on this weren't deep enough to grab the back side of the OSB. I had to modify this a little by drilling 4 new wholes in the bezel and screwing into the OSB with wood screws. It did work though., but now has 8 screws on the front. It was difficult to get the whole cut just right. The mounting clips don't swing all the way out of the way like they do on monoprice speakers. By the time you cut a whole big enough to fit the mounting clips through there is barely any bezel left to cover the edges. If you are mounting to a shear wall (OSB) behind sheet rock, I'd suggest removing the mounting clips completely, then cut your whole in the wall, and drill new wholes through bezel and use wood screws to secure to OSB. PROS: Surge suppressor, larger than expected LV cable portal. CONS: Mounting clips too short. Not a lot of room to spare with the bezel.